Desmond T. Doss Christian Academy is a ministry of Lynchburg Seventh-Day Adventist Church. We believe that a Trinity of three persons—the Father, the Son, and the Holy Spirit—make up one God. We believe in salvation by grace through faith in Jesus Christ alone; no works can save us. We believe in the inerrancy of Scripture; it is God’s Truth given to us so we can know how to build the proper relationship with Him and to live in a way that honors Him. We respect God’s divine authority and recognize His intervention in human affairs. How does that affect what we teach? 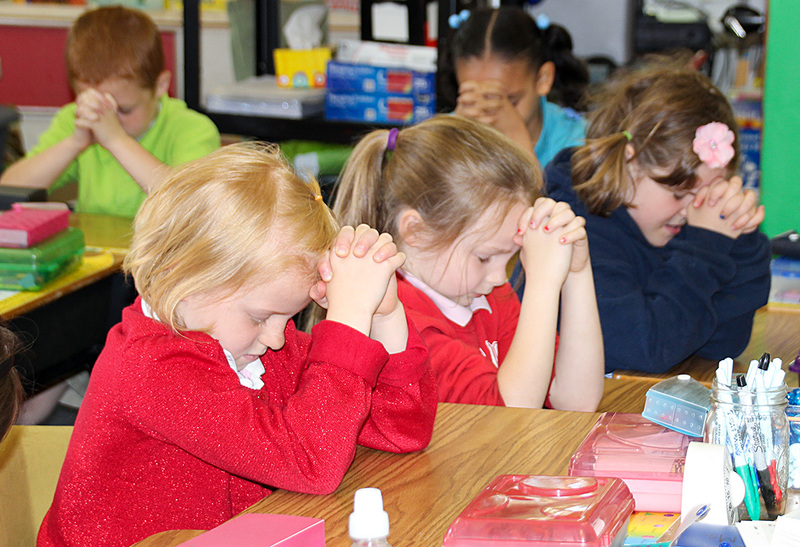 Desmond T. Doss Christian Academy provides a spiritually-oriented education for children. A belief in the existence of the Creator God is fundamental in the philosophy of all Seventh-day Adventist schools. We believe that true education develops the spiritual, mental, and physical abilities of each student—preparing them for the joy of service in this life and for the higher joy of spending eternity with God. To achieve this goal, we encourage each student to develop a personal relationship with God and his fellow men as stated in Matthew 2:37-39, as well as cultivate physical fitness, mental ability, and moral purity as the blessing God intended. What are the benefits of a Christian education at Desmond T. Doss for your child? • An appreciation of cultural differences, helping your child develop a positive attitude towards all people.